Digital passwords have sneakily become a cornerstone of our daily lives. At work and play and everything in between, these jumbled characters are the keys to unlocking nearly every door imaginable. It’s no wonder why the password manager industry is predicted to hit $2 billion in value by 2025. On average, we use 25 sites or applications that require passwords; that number continues to climb as more routine tasks and business functions become computerized. The ceaseless rising threat of cybersecurity aside — and that’s a big pretty deal, if you don’t already know — one of the largest obstacles involved in so many passwords is simply remembering them all. It’s a modern problem if there ever was one, and a #firstworldproblem at that, but it shouldn’t be undersold. You should strive for unique and challenging passwords across accounts, or at least to change it up once in awhile — that’s priority numero uno. But as you do this, and your binder of passwords grows larger and more complex, it’s a fool’s errand to attempt going off memory. In other words, don’t be a hero. With password manager software, you can save that precious brain space while sidestepping the stress of lost or forgotten passwords. As we await the facial recognition revolution, it’s still a password world, and password managers are designed to ease the effort in staying safe. These tools can be lifesavers for your company and family alike. And thanks to some generous developers out there, you can download some excellent password management tools without a financial commitment. For the average user or a startup organization, certain free solutions provide more-than-sufficient features to organize, save and access the various core passwords of your daily regimen. Then, if your password or user load starts tipping the scale, you can leverage paid memberships or more robust applications to suit your needs. Using reviews from real users, our list of free password manager software is ordered by highest user satisfaction as of May 30, 2018. 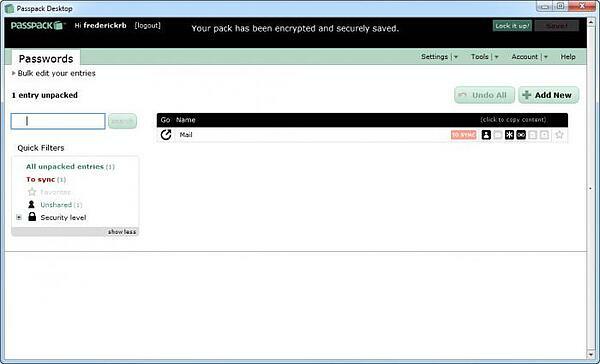 The list we’ve outlined here includes any password manager with an available free offering. It should be noted that this does not include products that are only free on a temporary basis, such as limited trial versions for new users. These products alone have well over 600 validated user reviews on G2 Crowd as of May 30, 2018. and only represent a portion of the 50-plus password manager software offerings listed on our platform. The products are ranked from an in-depth analysis of user satisfaction score as of May 30, 2018, and must have at least 10 reviews. This Virginia-based solution recently celebrated its 10th anniversary on the market. It is the second-most-reviewed product in the Password Manager category on G2 Crowd with more than 400 reviews as of writing. 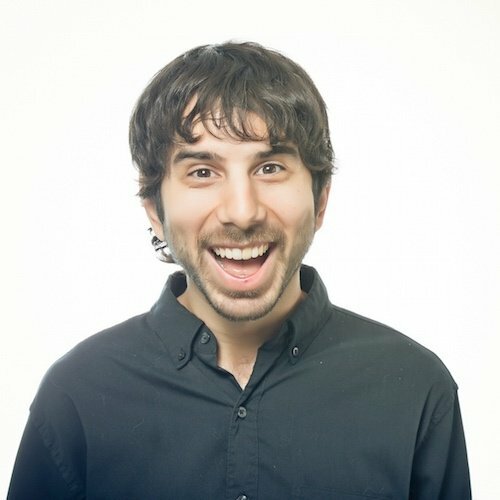 According to the LastPass website, past customers include NPR, TechCrunch and The New York Times. 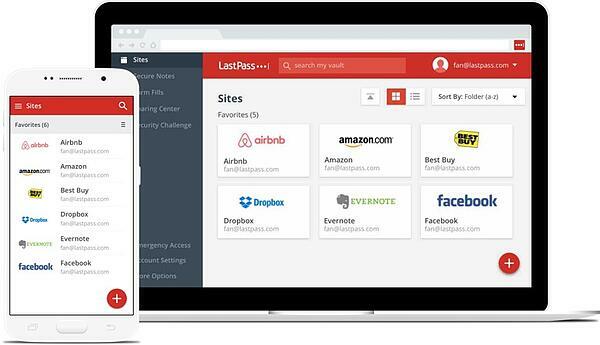 LastPass allows passwords to be saved and accessed from any device, from laptops all the way to smart watches. The platform also simplifies online shopping by saving different autofill responses to be dropped in during checkout or registration. 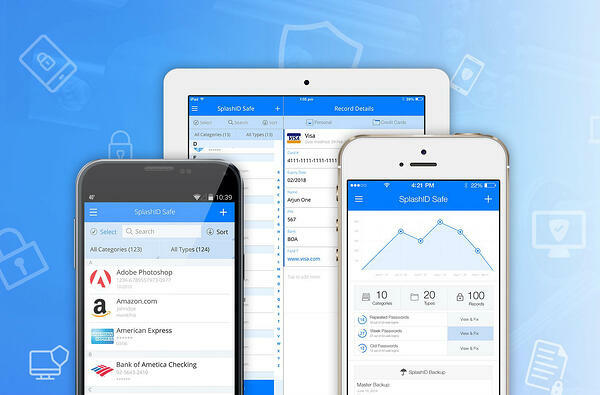 Premium plans add expanded capabilities and security starting at $2 per month per user; there is even a Families plan that allows you to store passwords by family member or type of account. With the free edition of Dashlane, users can not only save unlimited passwords on a device of their choosing, but also can conveniently generate new, strong passwords on the spot to be used as they see fit (e.g., registering a new account, updating an old password, etc.). Security features such as timely breach alerts are also included in this base model — easily downloadable from the Dashlane website. 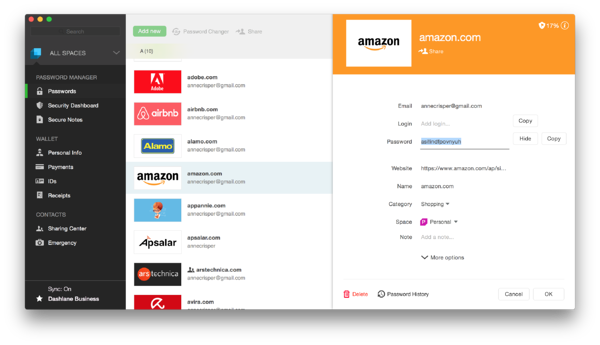 New users are given a one-month test drive of Dashlane’s premium features, such as the ability to sync passwords and data across all desired devices. Once the trial period expires, users can continue on with the free version, or sign on for the Premium plan starting at $3.33 per month with a 30-day money-back guarantee. The software’s Business plan, at $4 per user per month, offers advanced functionality to provide peace of mind to professional teams of any size. The makers of KeePass are not shy about their success; you can read about the software’s many accolades on the Awards section of its website. Elsewhere, the site is far from flashy. But the proudly free and open-source platform, active since 2003, has clearly been a boon for many with its reliable password management database. Users can upload as many passwords as necessary onto the application — the latest release of which, KeePass 2.39, launched in May 2018 — and access them on the encrypted database with a single master password or key file. Satisfied customers of KeePass can donate to the cause through the KeePass website to keep the operation alive and support future development. Unlike some other products on this list, there are no “paid-only” features of KeePass, so the free download gets you the full scope of what the software has to offer. RoboForm provides password management in addition to features for filling web forms, emergency access and password audits. The free version allows unlimited logins and single-click access to sites or applications with passwords saved through the software. It also delivers advanced encryption to prevent breaches that could compromise access to your passwords. 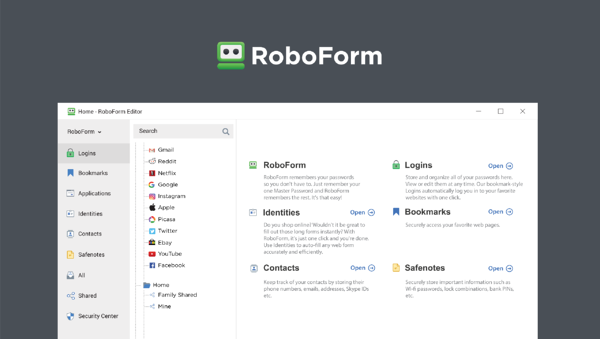 RoboForm Everywhere builds upon the foundation of the free version with benefits such as two-factor authentication, cloud backup and email/phone support. It also allows the user to sync personal data across all devices to allow fast access. In addition to this paid service, RoboForm offers plans for businesses and families. You can try out the Business plan free for 14 days before any additional commitments. For other pricing information, inquire with the vendor. Thycotic Secret Server was recently named a Leader in the Spring 2018 Grid® Report for Password Manager. 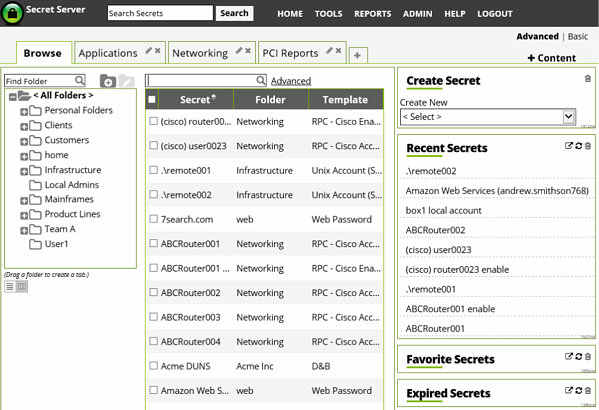 With the free edition, you can provide up to 25 members of your team on-premise storage for up to 250 passwords (or “secrets” as the vendor calls them). Signing up also grants access to the Thycotic forums where you can engage with the community and discuss issues related to the service or password protection as a whole. Thycotic offers Premium and Professional editions of the software for a fee — though pricing specifics are not provided offhand, you can request a quote on the Thycotic website. You can also sign up for a 30-day trial of the expanded software. The Premium plan offers standard features such as enhanced auditing and tech support, with add-ons that include disaster recovery and Unix protection. The “free forever” version of this Italy-based software provides two-factor authentication for up to 100 passwords, as well as the ability to have unlimited passwords shared with the user by other parties. One of the other spiffy features is the ability to add notes to passwords. It is a desktop-based software with compatibility on several of the major web browsers. Passpack offers escalating paid plans to address the needs of different user bases. This begins with an $18 per-year plan for three3 shared users and up to 1,000 passwords, and tops off with the Business plan for $480 per year. This allows for up to 10,000 passwords among a max of 1,000 users. Though it doesn’t offer free trials for paid plans, Passpack does promise a 30-day money-back guarantee on all purchases. From the prolific team at Zoho, Zoho Vault promises “rock-solid security and complete privacy” related to you and your team’s passwords. Though the free version is only available for personal use, it can be downloaded and used independently by all members on your team to promote proactive passwording in your organization. Features of the free offering include two-factor authentication, mobile access, password generation and the ability to define and enforce a unique password policy. Premium plans start at only $0.90 per user per month, which include a laundry list of features you can read about on the Zoho Vault pricing page. The Enterprise plan, for a minimum of five5 users and with the lot of advanced capabilities, is available for a 15-day free trial. To help explain the perks of Sticky Password for password management and form filling, the makers developed a cute 60-second animated video starring a manatee. The company donates a portion of each Premium membership payment to preserve this endangered species. If that doesn’t sell you on the company as a whole, explore some of the robust features on the Sticky Password website, such as biometric authentication (fingerprint scanning). Silicon Valley-based McAfee, if you’re unaware, knows a thing or two about security. 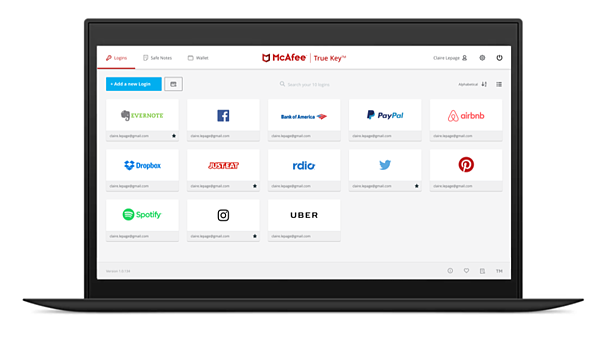 The company’s password management solution True Key provides the full set of features and cross-device synchronization with all free downloads. (You can read more about the strong featureset on the True Key website.) If you enjoy the program and desire increased password limits for yourself or your team, the Premium edition handles unlimited password data (well, up to 10,000) for only $19.99 per year. Visit our password manager category to find more free or commercial options and find the password management solution to fit your company’s needs. Reviews can be tailored to view specific ratings, company sizes, user roles, user industries and additional categories to help determine which product will work best for your unique business. While browsing G2 Crowd reviews, check out other identity management solutions to further protect your team’s critical data.